New research provides key insights for school leaders on how to welcome and support immigrant students. 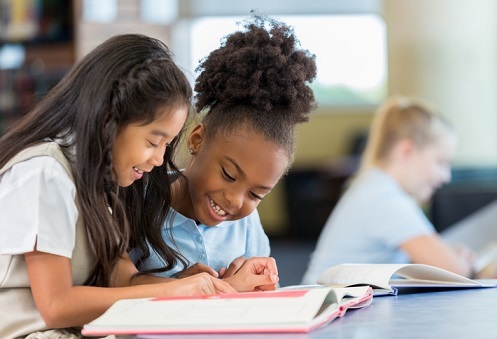 The research, published on Harvard University’s Usable Knowledge, looked at the challenges associated with shifting demographics across several US states, particularly for principals who are tasked with creating supportive environments for newcomer students. Martina Wagner, a longtime teacher and English Learner (EL) expert, told Usable Knowledge what school leaders should keep in mind so that every student, regardless of the language they speak or where they were born, receives a rigorous, accessible education. First, Wagner says it’s important for principals to acknowledge that newcomer students are diverse groups which have vastly different needs – even if they come from the same country. Citing her own state’s example, Wagner says, for instance, that students coming to Minnesota from Somalia 20 years ago presented more basic EL needs, but Minnesota’s newer population of Somali immigrants tend to have a very conservative approach to education, which affects how schools can involve students in art and music activities. Wagner also highlighted the value of maintaining a curriculum that is both rigorous and accessible for all students. One challenge for school districts not used to newcomers is maintaining high expectations. In these cases, she says, “you don’t reduce the rigor – you change the supports”. “While EL students likely need assistance accessing academic content, they are entitled to an education that is just as rigorous as their native-speaking peers,” Wagner said. Wagner said that schools should ask families what their needs are, and how the school district can help. “Those needs may not be education-focused – better access to healthcare or food, for example – but addressing them will support children’s learning,” she said. Another helpful practice that principals can consider, says Wagner, is celebrating families who advocate for their children. “Too often, newcomer families feel intimidated or unwelcomed by school systems. When a parent speaks out about her child’s needs, thank him and integrate that feedback into your teaching." Wagner said it’s helpful for native students to learn about the diverse backgrounds and experiences of immigrant peers. However, she said teachers shouldn’t highlight only the challenges newcomers have faced. “That limited sharing could unintentionally reduce immigrant students to stereotypes. Instead, let students share a complete picture of themselves — their family, favorite sports and music, and dreams,” Wagner said. In schools where Wagner has worked, this activity has used the expertise of multilingual students to build the capacity of monolingual students. “Both groups leave these conversations realizing and deconstructing preconceived notions about each other,” she said. How should teachers be tested for quality?